I like what I do for a living. I get paid to play with parrots. Work often entails all sorts of things. answering lots of emails, many nights spent on the road, an endless "to do" list, but one thing I can count on to remind me why I LOVE this work is a great training session with a parrot. And I had one today. Those who already train parrots may know exactly what I mean. When you are training a parrot a new behavior and you are taking painstakingly tiny approximations in the hopes that the bird "will get it" and HE DOES! WOOOHOOO! What a thrill. I like to call that the "training rush." It is the fabulous rewarding feeling the trainer experiences when the shaping plan was a success. This rush I think is what keeps me coming back for more.....it is my positive reinforcer everytime I train a parrot. Even if I am training a behavior I have trained 600 times before with 600 different birds. Each time I still get the little tingle in my belly. While I was getting my "rush" today, I also paid attention to my parrot's reaction. I know I can never know for sure. But I think he got a bit of a "rush" too. Perhaps he was reacting to my enthusiam, but it seemed the moment he understood what he was to do, he started vigoursly performing the behavior...as if to say "Yes! Yes! I now understand what you want!" And you can too. 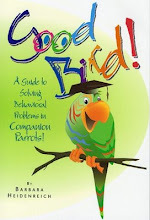 Positive reinforcement training is not only good for you parrot...it is good for you too. 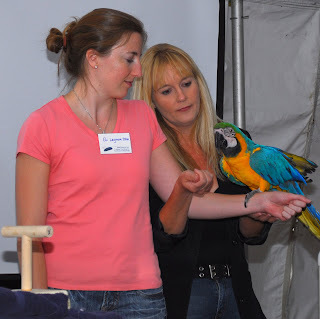 Learning about parrot training is fun! 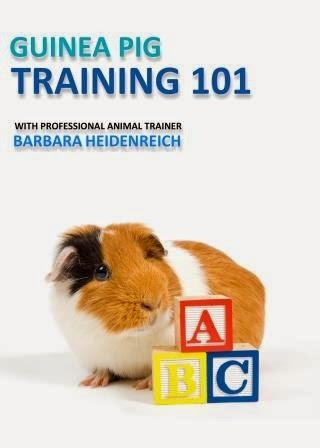 However sometimes the terminology used to describe training can get a bit confusing. 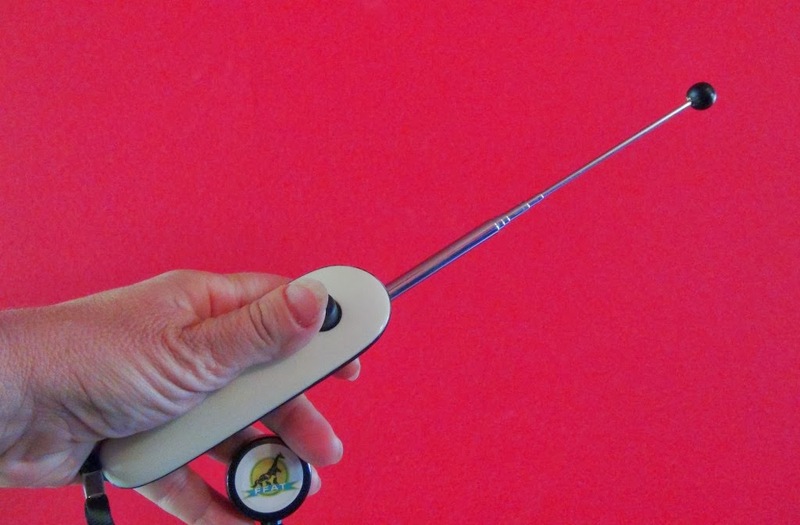 I have prepared a list of terms typically used in animal training to help parrot training enthusiasts become familiar with some of the commonly used language. 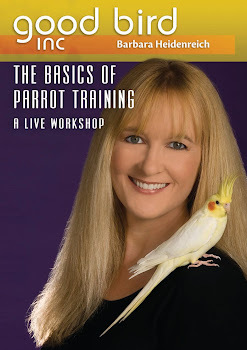 The list could go on and on, however I decided to focus on the words most may encounter on their journey into parrot training. I also included parrot training examples of many of the definitions to help clarify their application. You will see the terms come primarily from the science of behavior analysis with resources and references credited at the end. This science has been around for about 100 years. Although new things are always being studied and tested by science much of what we use to influence behavior of our parrots has been well defined for years. 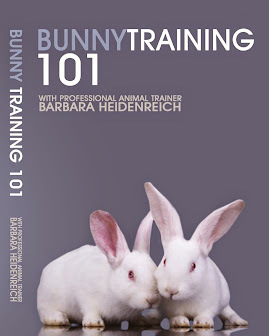 Some may choose to rename these principles with fancy catch phrases, but to me the beauty of it is that it all goes back to the science, regardless how you try to dress it up : ) No animal trainer or behavior consultant holds "secret" information. The teachings of behavior analysis are there for all of us to discover, share and explore. I hope you will find this page a resource you can come back to again and again.